No Nonsense Spelling is the backbone of our teaching of spelling throughout the school. Spelling is taught through an investigative approach and the children keep personal spelling lists of the words they find tricky across the curriculum. In line with the National Curriculum, each year group learn a list of assigned words (common exception words), which you will find on the class' webpages. We hope to foster a love of words, so children are inspired to always search for the best vocabulary choices to improve the quality of their writing. 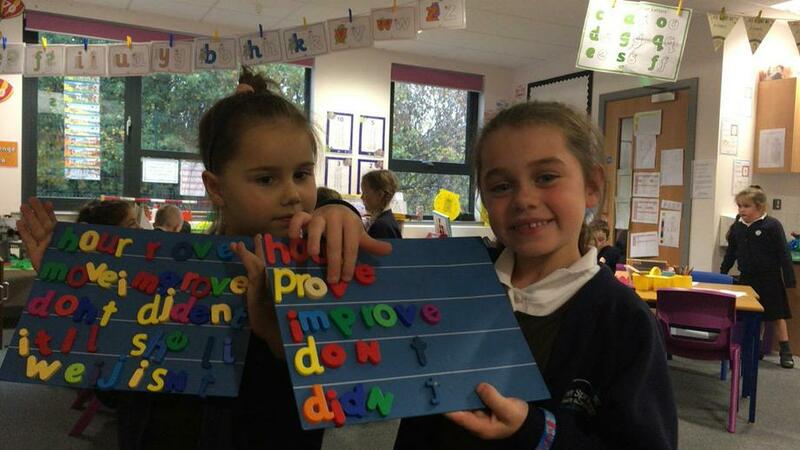 In Year 1, most children will use their phonics to spell words they don't know and the common and tricky words. We send spellings home for the children to practise – use board games and online games to make it fun! Your child will be expected to use phonic skills and use what they know from their reading to spell unfamiliar, common and tricky words. Your child will also now be able to recognize by sight, read and spell many of the common and tricky words. We will send home weekly spellings to learn at home. Spelling in Key Stage 2. 'Tricky words' are words which are difficult to 'sound out'. They need to be learned by sight. Race against the clock - how quickly can your child do their spellings?